Nide deep water pump manufacturing machine-Ningbo Haishu Nide International Co., Ltd. Deep water pump motor is featured as long stack length, big deminsion, heavy weight. Due to its feature, the manual production time for single stator will be 30min. 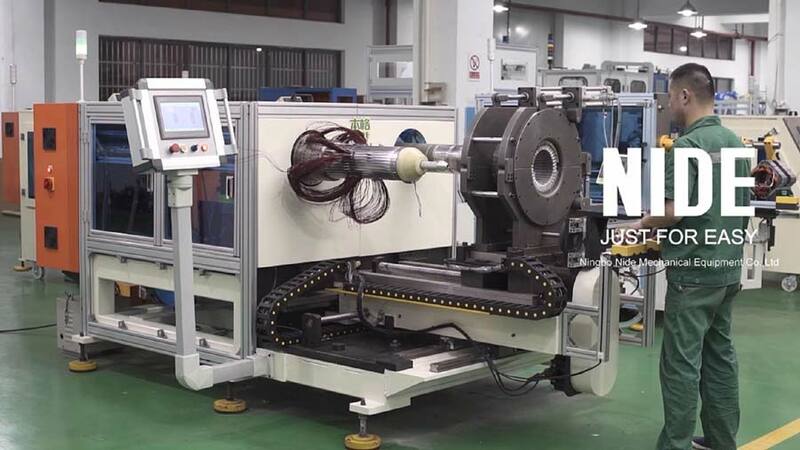 Nide deep water pump motor winding line adopts horizontal structure so as to easily load and unload stator. With high automation, this winding line can reduce labor and improve the efficiency. The production time for single stator will be 5 min . By using Nide machine, customer could greatly improve the quality and reduce the labor cost.